So I pretty much picked The Infinite Sea up the minute I finished The 5th Wave. With the first novel's dramatic ending, I couldn't help but immediately reach for a sequel. I was surprised to see that this sequel is about half of the length of its prequel, and in some ways, I do feel that the story was lacking. The first book had incredible depth and took its sweet time building suspense and developing its characters. Although the characters in the sequel are still deep, the plot is not quite as developed. I found parts of it quite confusing, and honestly, I was hoping for a bit more as I turned the last page. I'm not sure if the third book will be shorter like this one, but I'm really hoping it won't be. Maybe The Infinite Sea is just a bridge between the first and the last book in some ways? The second book in a series often bears that burden, so maybe the third book will hold some of The 5th Wave's level of development. I loved Cassie and her plot line in the first novel, as well as Ben and Evan. For some reason, we barely see them in this second novel. Not only is the story shorter, but the majority of its pages are dedicated to the character Ringer. We met Ringer in the first novel, and although she did interest me, I was sad to see that Cassie and some of the other characters got pushed to the back. Having said that, Yancey still wrote an impressive followup. The action and intensity of the first novel continues, and the plot becomes even darker. We learn more about the Others and why they have come, and we even meet some new characters. There are more than a few striking passages in The Infinite Sea. Yancey is dang talented, and his words have a way of hitting you right in the heart. You root for his fearsome rebels, and you watch with horror as they are struck down again and again. 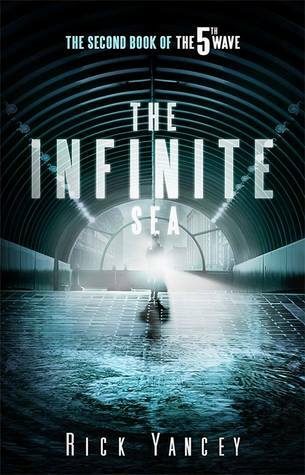 Overall, I did enjoy The Infinite Sea. It builds on the original story I grew to love, and I was so happy to see all of the characters again. However, I cannot say that I liked it as much as I liked the prior novel. 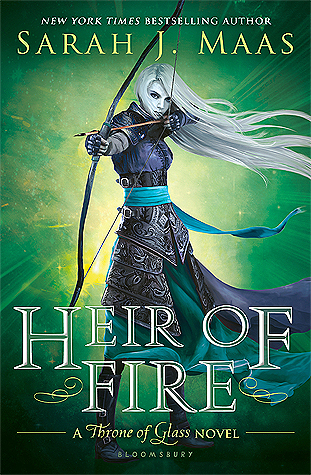 As I mentioned before, I still have high hopes for the third novel, which comes out on May 24th. Not only was I stressed out while reading such an intense story, but I'm also hoping and praying that the series doesn't take a bad turn. Fingers crossed for an amazing follow up in The Last Star.